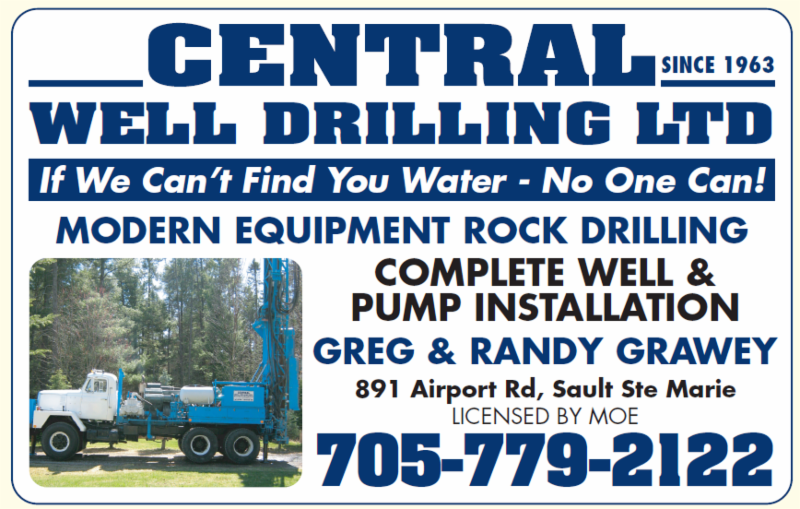 When it’s time to start digging a durable and efficient well, leave your shovel in the shed and turn to the team at Central Well Drilling. Based in Sault Ste. 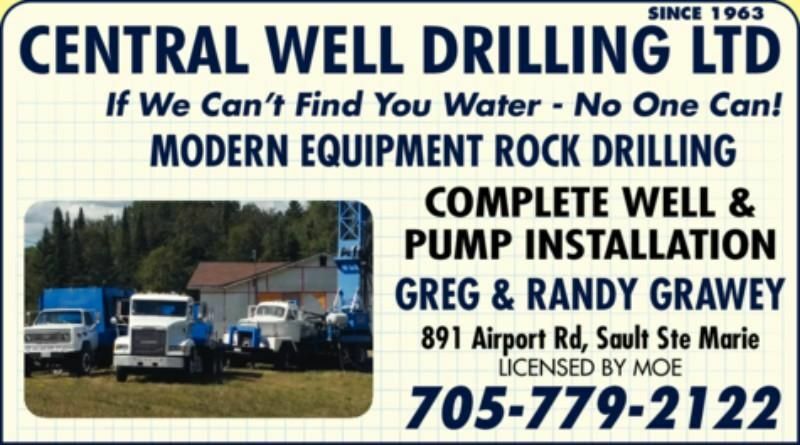 Marie, we provide complete well drilling services for residential, commercial and industrial clients throughout the surrounding communities. 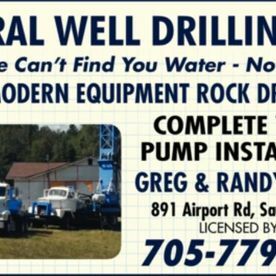 Our team designs and creates irrigation wells, residential water wells, commercial water walls farm wells, municipal wells and more. We operate a range of heavy-duty drills and other equipment using the latest drilling techniques. While creating a well may sound like a straightforward task, it can actually be a complicated procedure that must take into account several different factors. These include the size and purpose of the well, it’s location on your property and the different layers and types of soil that must be drilled through. This ensures that every drilling project must be approached as a unique situation, and our team is committed to using our years of experience and knowledge to complete your project successfully. 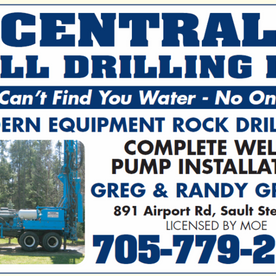 Call the team at Central Well Drilling to begin planning your next drilling project. If we can’t find your water, no one can!